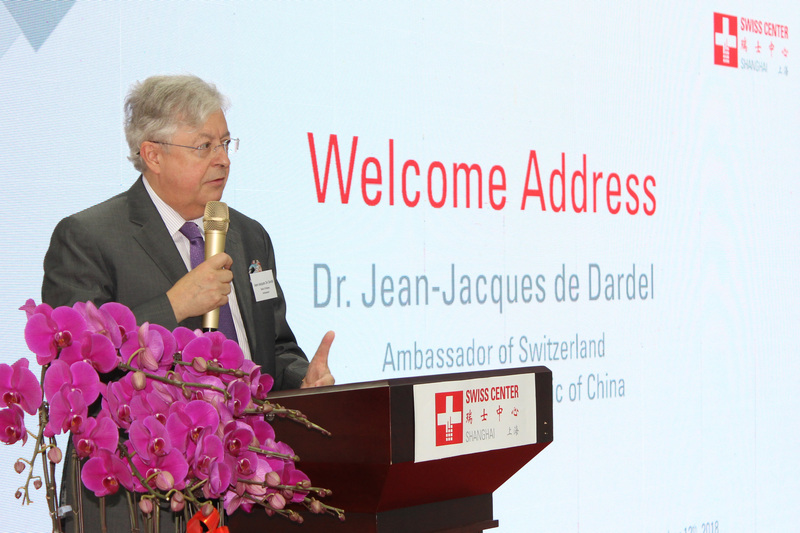 On October 12th 2018, Swiss Centers China (SCC) kicked off the Swiss Center at Honqqiao Central Business District (CBD) in Shanghai. SCC developed the new business center as an expansion of the existing 4 locations in Shanghai and Tianjin. Uniquely positioned with instant access to the Hongqiao Transportation Hub and the National Exhibition and Convention Center, the expanded center will make it desirable for Swiss businesses, Swiss SMEs in particular, seeking to capitalize on the CBD’s advantage of international connectivity and to do business in Shanghai and the greater Yangtze River Delta region. Following H.E. Ambassador’s speech, Xiaomei Fei, Deputy Director of the Hongqiao CBD Administrative Committee, highlighted the strategic importance of the CBD in terms of promoting international trade. 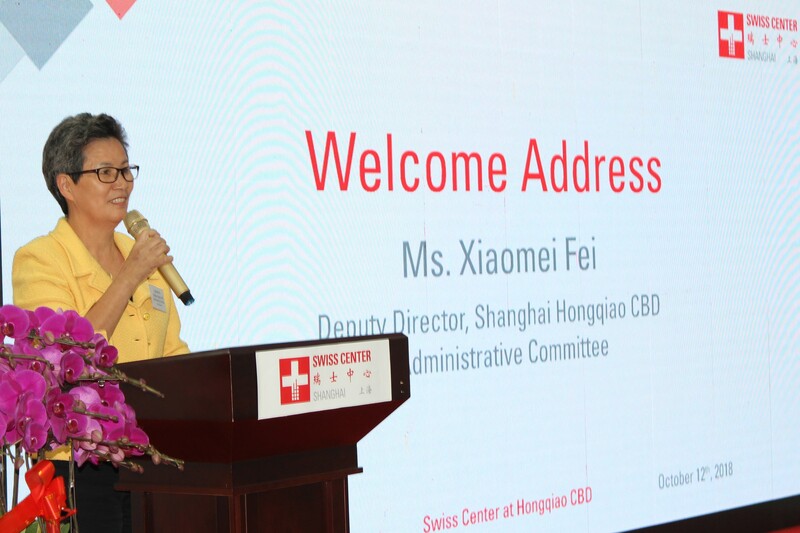 “We are delighted that a very well-functioned organization like the Swiss Center has chosen Hongqiao CBD as its next partner and ‘beehive’ as we share the same vision for future development,” said Ms. Fei. To nest in the “beehive” at Swiss Center Hongqiao CBD are 4 Swiss “bees” – EAO, Ceramaret, Alpvision and Intamin – who interested the guests in a presentation of their companies before the ribbon cutting by the delegates from the Embassy of Switzerland in China (H.E. ambassador), the Consulate General of Switzerland in Shanghai (Olivier Zehnder), Hongqiao CBD Administrative Committee (Shilin Min, Xiaomei Fei, Kaijin Jia), Lihpao Plaza (Hongyu Wu) and Swiss Centers China (Nicolas Musy, Zhen Xiao). 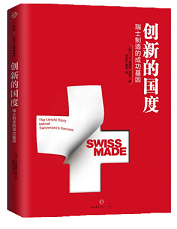 Swiss Centers China take this opportunity to thank all Swiss Center partners and members for their support in making this milestone and also in facilitating its mission of serving Swiss economies in China. 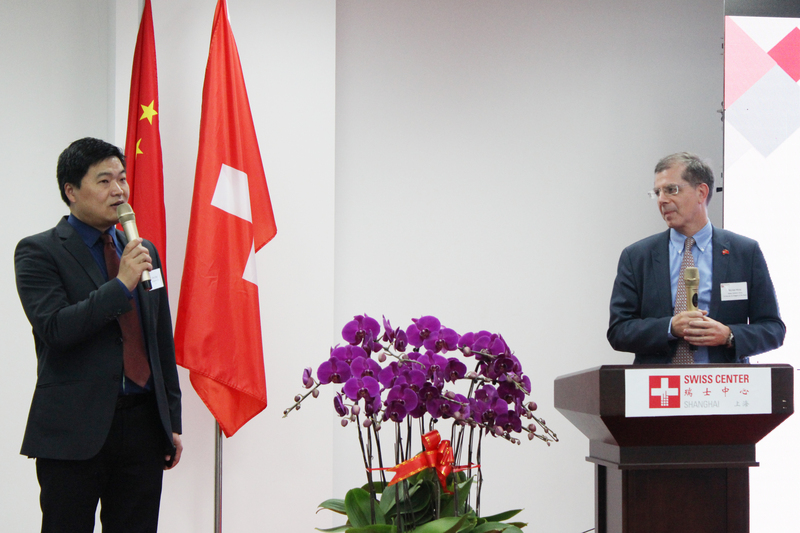 Join our new Swiss Center in Hongqiao CBD! Check out avaiable office space here – Swiss Center Hongqiao CBD.